For quite some time now I’ve been wanting to illustrate a mess of iconic places to symbolize the whole location(?? does that even make sense??) 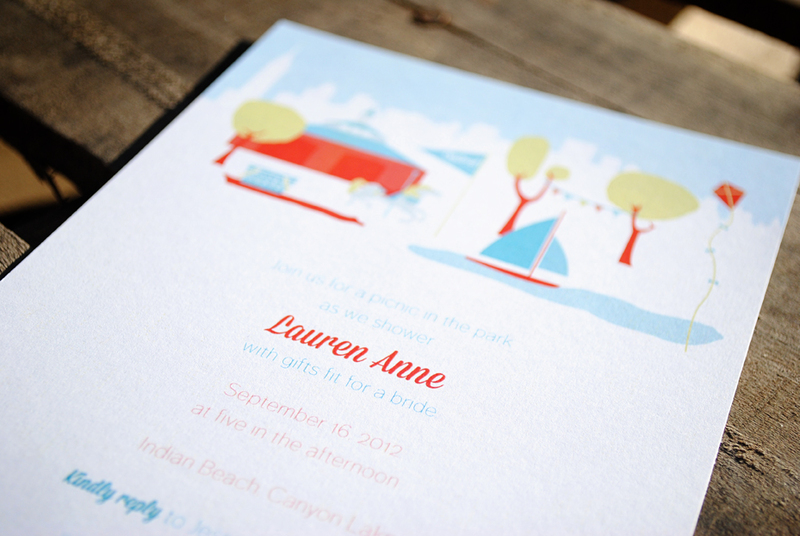 so when we decided to throw Lauren a “picnic in Central Park” themed shower, I thought, I can illustrate the invite!!! <— longest sentence ever? The one and only time I have ever been to Central Park was one evening in 2005 where we spent the remaining half hour of daylight being drawn by a character artist which resulted in my only seeing Central Park in the dark—which was kinda scary. 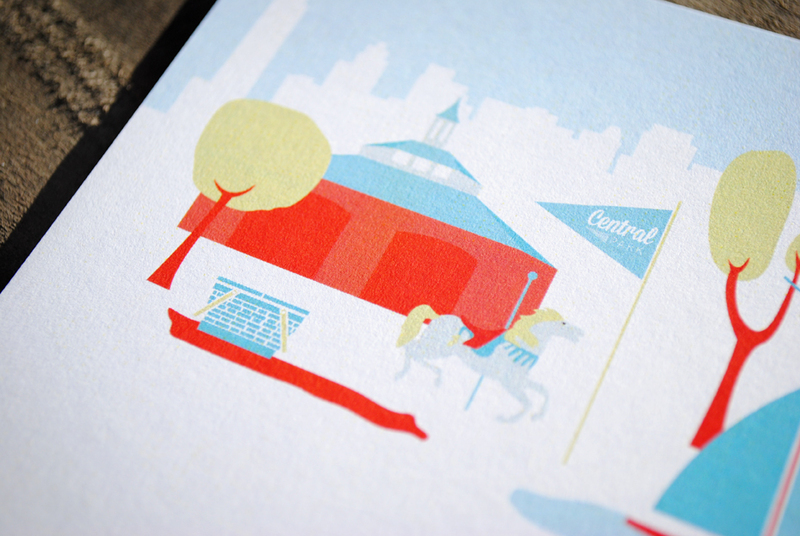 All that to say, I had to Google Central Park and when I found the carousel, I thought that to be the focal point of the invite and the weight of my illustration. From there I went on to draw the elements that we planned to use at the shower: picnic baskets, kites, flags, and banners. 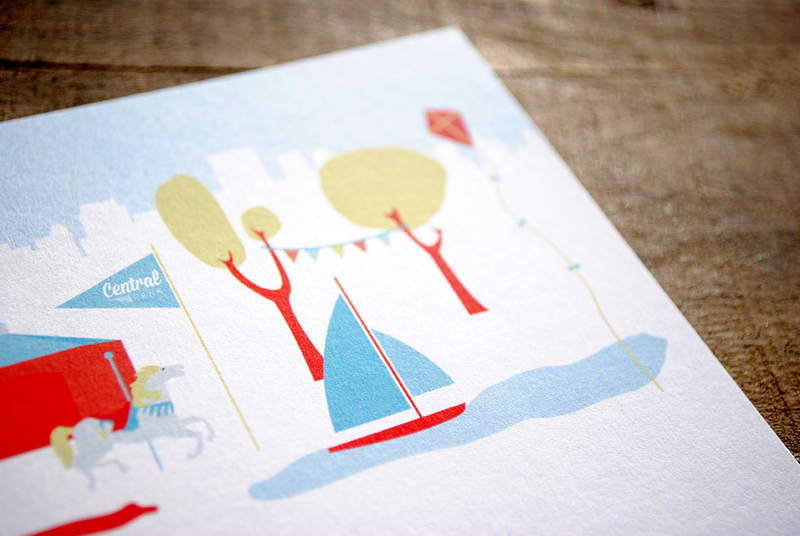 Oh and there would be a lake to with boats! Yay! Thank you Canyon Lake! We used bright reds, blues, greens, and yellows all throughout the shower from the red hotdog and popcorn stands to the bright multi colored pendant banners. 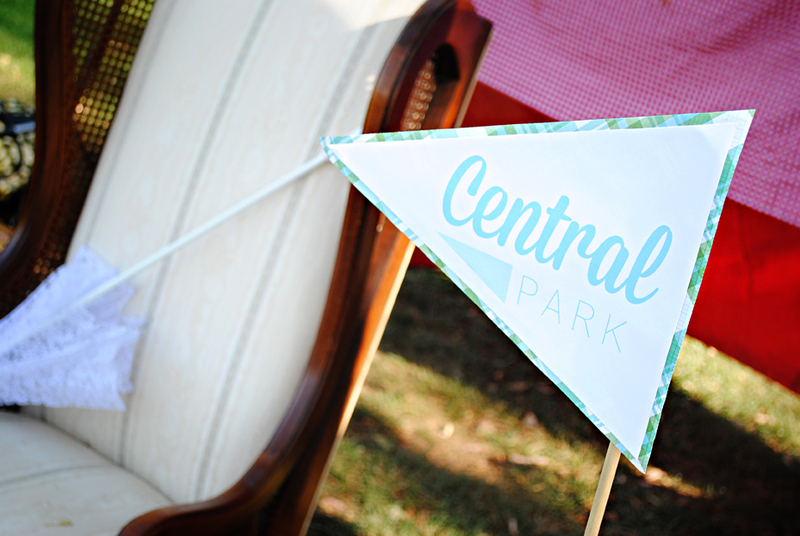 I just love how the shower came out, from the picnic baskets to the outdoor park games, but you will have to wait until tomorrow’s post to see more of that! 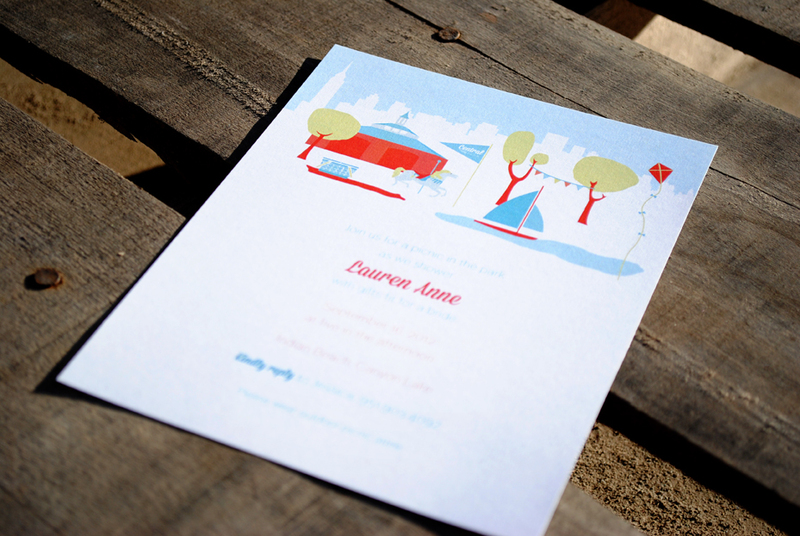 Okay okay here’s a small glimpse into how the invite was transformed at the shower! Your design is perfect! I can’t wait to see pictures from the shower-everything you do is always delightful! !